Teleglitch is a terrifying game. 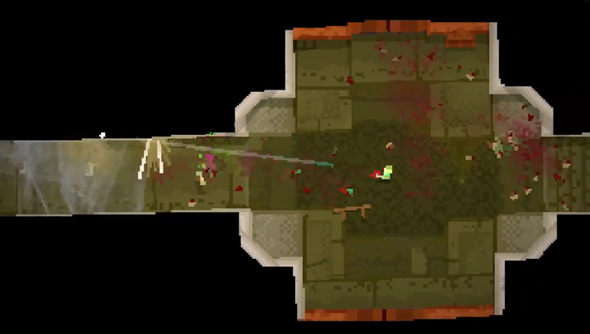 It’s essentially a top-down Doom-like roguelike where you can craft your own weapons. You’re always low on ammo and an inch from death. The new DLC may provide comfort but the comfort is a lie, the new guns won’t stop you from dying. A lot. The eight new weapons are all added to the starter roster. So they can be picked right from the off. The DLC also adds the option to randomize what weapons you begin the game with. You can check it out in the Steam store.